Want to raft world-class whitewater on the most exciting rivers in Canada? 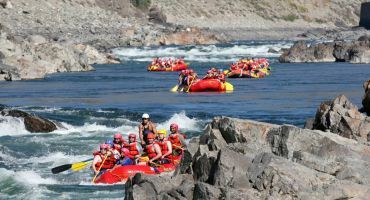 Our most exciting whitewater rafting experiences include the Nahatlatch (our premier and most popular river), Nahatlatch Canyon, Thompson and Stein. These four river trips feature amazing class 3, 4, & 5 rapids. 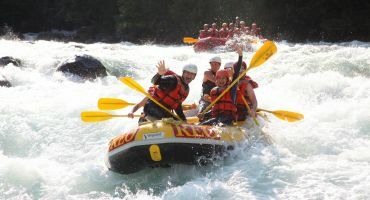 We also run adventure raft tours on the Fraser, Nicola, Coquihalla and Green Canyon (Whistler / Pemberton). These rivers range from class 1 (easy) to class 3 (moderate). An affordable all-inclusive adventure getaway with glamping, rafting, and 3 meals. 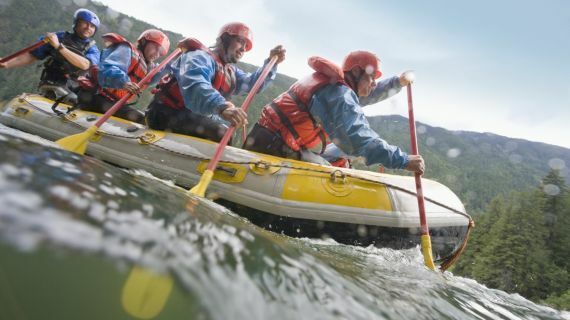 Want twice the fun - add a 2nd rafting trip. Our 2-Night Rafting & Glamping is the ultimate all-inclusive adventure vacation. Includes glamping, rafting, 5 meals, and canyon hike. Guaranteed the most exciting Class 3-4 river in North America, enjoy 24 action-packed rapids! Ideal for both first-timers and thrill-seekers. Definitely, one of the best August and September paddle rafting trips in Canada. 15 Class 3-4 rapids. Huge rollercoaster waves! 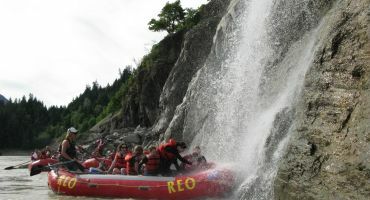 Scenic raft adventure on the Fraser river with wildlife, waterfalls & mountain views. Easy class 1-2 float fwith bouncy wave trains and whirlpools. 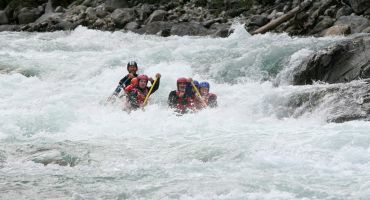 The Stein River is Canada's steepest commercially rafted river, ideal for advanced whitewater paddlers. A REO-exclusive.